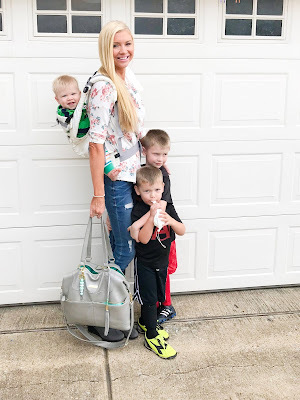 Sincerely Stevie: Baby Wearing with Lille Baby! 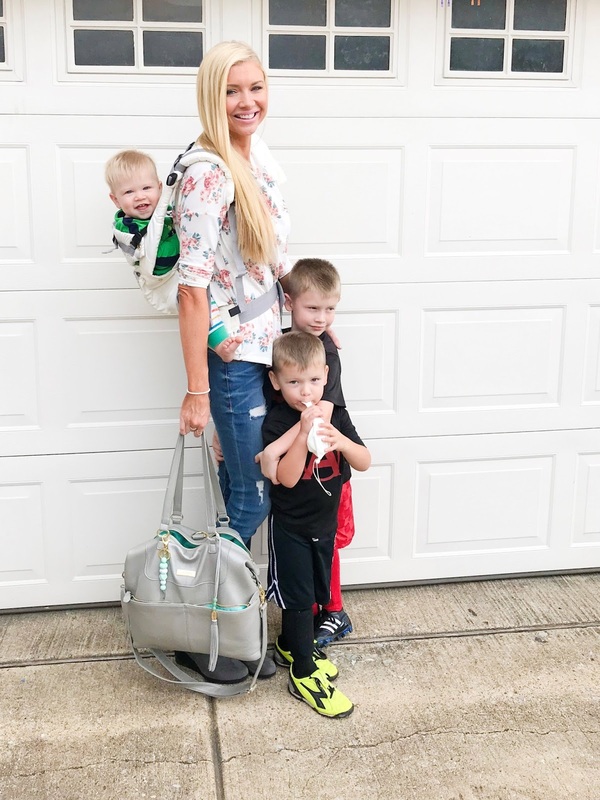 With each of my boys, I've used many different types of baby carriers. I've tried wraps, slings, & front/back carriers. They are all great honestly, but I think there's a place & time for each type of baby carrier. I guess you can say my hands (and my heart) are EXTREMELY full these days. We're always on the go.... school drop offs, errands, appointments, school pick ups, soccer games, Mops, church, birthday parties, etc etc, you know how mom life is. When we're in & out of the Suburban so many times a day, I don't always have the time (or patience) to pull out the stroller. It's not always necessary either. Thankfully I have the perfect baby carrier by Lille Baby to help with keeping my little tag along (Jace) safe & happy next to mommy during all of our outings. 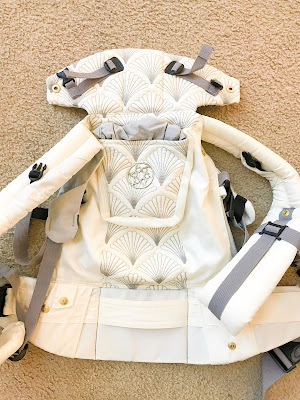 :) I have the Complete Embossed Luxe Baby Carrier in Brilliance. It's as fabulous as it sounds. 2. It's the most GORGEOUS baby carrier you've ever seen. It's beyond glamorous. I feel like it was made for princesses. Lol! (They have other colors in this same carrier, & a TON of other carrier options as well. I just really liked the white with gold because it's stunning & matches everything). 3. It has lumbar support. When I wear Jace on the front, he's so heavy that I like to have the padding on my lower back. I don't feel any back pain when using this feature! 4. It has a sleeping hood. I use this every time I drop Brody off at school because Jace is always sound asleep by the time we arrive. So if you're looking for the right carrier, I highly recommend trying this one. It's nice to have a lot of support, & multiple carrying options in my opinion. 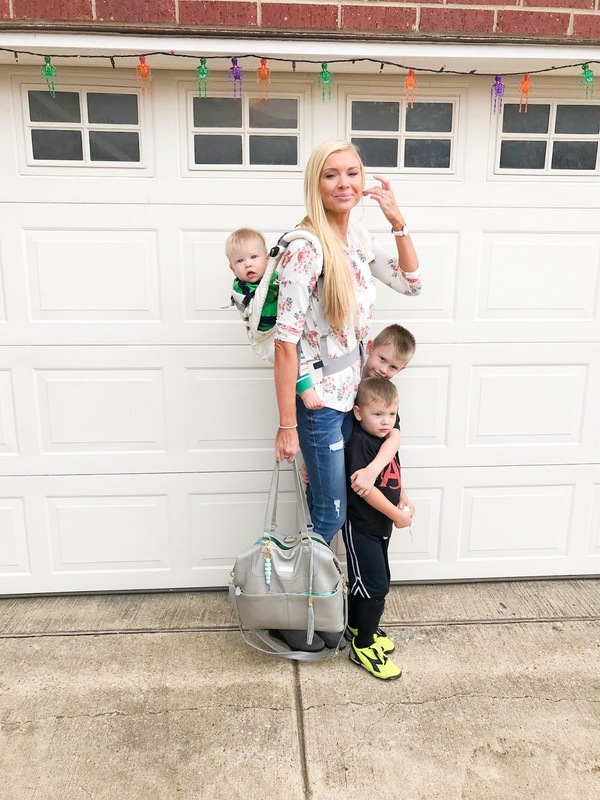 It's also nice to have a carrier that can be used from birth until they're bigger (this one you can use until the your child is 45 lbs)! 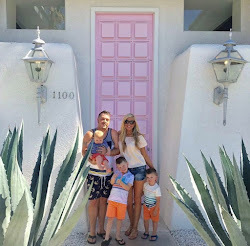 I hope you enjoyed this post, & for every day updates on our life, please follow me on Instagram!